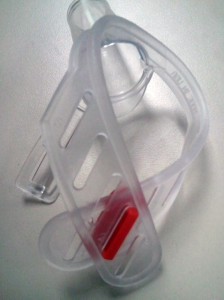 We are happy to introduce our latest innovation which will improve how your experience in using our TGuard thumb sucking treatment kit: Instalocks. 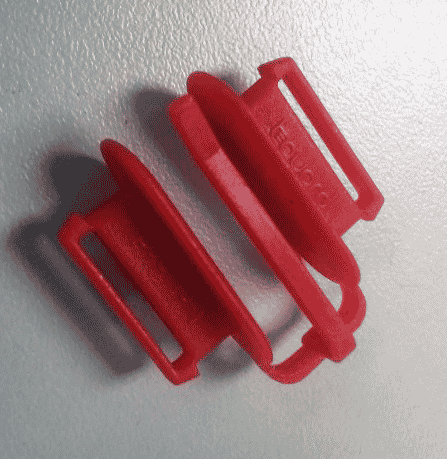 Instalocks are small clips which facilitate adjustment and use of our appliances. Many customers found our previous system to be very confusing and hard to adjust, which led to situations where the child could remove the appliance and continue thumb sucking. Our new clips hold the two long extensions together, and with numbered slots, allow you to find the perfect setting for your child. Once applied, you can simply thread the bracelet through the loop in the instalock. The best part is, once installed, you can leave the instalocks in place, meaning you only have to adjust the appliance once! Preliminary tests have shown that the instalocks are intuitive, easy, and best of all, effective. We hope you agree, and find success with our products! Two instalocks connected by a clip. Here is shown how one instalock is inserted into two extensions of the TGuard.